Minister of Defence, Ms. Ine Eriksen Søreide, Norway and our first F- 35. (Photo by: Marita I. Wangberg, FD) - Our new combat aircraft will strengthen all of the Armed Forces, says Norwegian Minister of Defence Ms. Ine Eriksen Søreide, who on 22 September participated in the formal roll-out of the first Norwegian F-35 at Lockheed Martin's production facilities in Fort Worth, Texas. 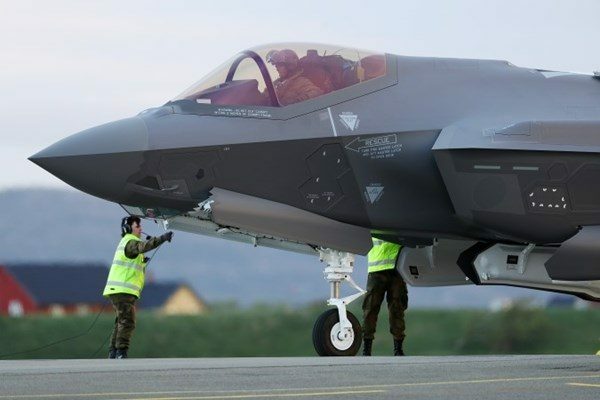 Norway is planning to acquire up to 52 F-35As in the years leading up to 2025, and today's ceremony celebrated the completion of the first of these, which is destined for Luke Air Force Base where it will take part in the training of Norwegian and partner pilots.